Synopsis: It’s based on a novel so expect differences with the drama version. Kappy: A huge thanks and warm hugs to Wheebee, Linja, and SophieD for lending a hand in making subtitles for this drama possible! Thanks to Sin also for helping with the black bar styling so that the English subtitles cover the Chinese one perfectly. I’m very lucky to be a part of this project and got the easiest job of all – encoding! Please respect our work, time, and effort. It’s free for all so don’t upload it to other streaming mediums. You can either stream the episodes or download for a good copy. I’m always open when fans want to help with English Subtitles so if we can gather a team for a project, let me know! 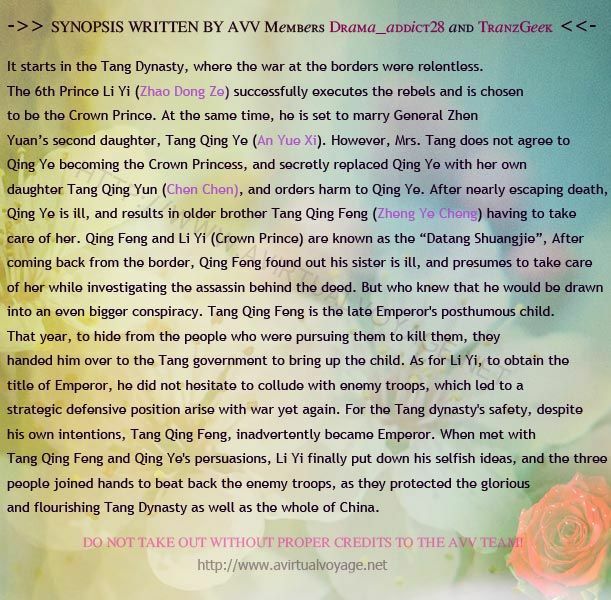 This entry was posted in Drama Episodes and tagged An Yue Xi, Author: Feng Diu Zi, Cdrama, Chen Chen, Let’s Shake It ET (颤抖吧阿部), Novel Adaptations, Wang Yan Yang, Webdrama, Zhao Dong Ze, Zheng Ye Cheng by Kappy. Bookmark the permalink. download link incorrect for EP 6? You guys are the heroes we need not the ones we deserve ❤️❤️❤️❤️ I had been so sad I couldn’t find English subs for this drama!!!! Thank you guys! I congratulate you for your work and want to share it with those who do not speak Chinese. Thank you very much from Peru! Holy crap. How were you able to keep this a secret guys??? echoing the sentiments above. Not all heroes wear capes (unless of course you do). Thanks very much! Now off to binge finally! Omg bless you guys lol I’ll definitely check this one once my holiday break hits. I’ve been wanting to watch it but been pretty lazy in terms of drama watching lol. Will definitely support this project though. Thanks! I’m always glad to read about new subbing projects. We appreciate it! BLESS. This show was hilarious and it’s awesome to see it subbed. Great job with the subs! OMG!!! You guys are the real MVP’S If you ever accept suggestions please sub season love or oh my general #cries i think i’ll have to wait forever for subs to those. Kappy and team, you’re the real MVP’s! A big thanks to all of you who worked hard to sub this drama! I’m surprised how little this drama has been mentioned on AVV. Although I know there are so many dramas out there so it’s hard to get attention even within the AVV realm. Whenever I read comments on how much readers missed Love020, I thought they should give this one a try. There are at least a dozen episodes where it’s a very fun watch. But my taste is very different from the ISWAK, Shan Shan Comes to Eat type drama. Typically those are the dramas that have huuuuuuge fanbase. So I figure it’s safer for the world if I don’t suggest what other readers should watch. I also refrain from watching and commenting much on Oh My General, TKW, NGCS, RTW to avoid posting non positive comments 🙂 Though some of these have good production quality. I really relate to Kappy when it comes to watching romance-related dramas. Too dog-blood for my taste. Additionally I can’t take all the great Gary Stu’s love our endearing, disadvantaged Mary Sue from a poor family plot. They have made too many dramas with that theme. I’m increasingly finding web dramas more watchable than TV dramas. So I’m especially thankful to the kind people who sub the relatively under-rated web dramas. Web dramas are relatively less Mary Sue. May I ask how long it took to sub the 8 episodes so far? And this is with the 5 of you working together? I’m just trying to get a sense of how just how extensive the work is. Another youth-themed drama I like is The Big Boss. This one has a first impression post also! More than a lot of other dramas! Lol. Don’t worry about posting opposite comments! While 80% of the China is enjoying A Love So Beautiful, I am not. hee! I’m sure I’m labeled as a anti-fan somewhere in the universe too ~ XD And have received plenty “cute” emails! I would say we started this project around September and everyone has worked so hard thus far despite their busy school schedule, working, exams, etc. Rounds and rounds of helping each other edit the subtitles! I feel so lucky to be able to help out! Thank you so much for your hard work and reply. While I appreciate good acting and beautiful faces,I do find dramas that are too reliant on beautiful people (*cough 3l3w, tkw, iswak, Li Hui Zhen cough*) are not a great influence for younger audiences. 😉 It’s a bit like eating candies. You can’t live on candies alone forever. At least some or most of the Love020 characters work and study hard. And they didn’t say the wrong things when they threw a couple of slightly technical terms around. I just don’t want to spoil others’ viewing pleasure if I watch a drama and then comment on it. So it’s better that I don’t watch carefully and count how many men in NGCS fall in love with Sun Li and then drive myself and others crazy over it. With SL’s character being so great, I don’t know why the writers don’t have 3 women falling in love with her as well. Wouldn’t that be a fresher theme? lol Plus we can see yet another side to SL’s acting. That aside, I was amused when SL was pretending to be ladylike and fell on the floor. But there were too many standard cliches overall. TV dramas can be so plagued by crappy politics and business calculations that the final product can come out like PA. Or the various upcoming Tang Yan or Zheng Shuang dramas. Perfect but poor Mary with perfect Gary stumbled upon unfortunate car accident, medical trauma. Their undivided love was met with disapproving parents accompanied by evil relatives and jealous supporting female leads. Fortunately poor Mary was helped by Gary2 through Gary8 while Mary was facing her adversities. lol. Very happy to hear you’ve been having a blast with this. Thank you for sharing the details so we get a better idea of the scope of the work when we volunteer. I should clarify my web drama comments above. I have only checked out a handful of web dramas this year. The average web drama could be mediocre. I didn’t check out enough of them to be able to tell. But I find a few of the more watchable 2017 dramas are the web ones. TV dramas are often supported by better-known lead actors or actresses like ZLY, Sun Li, or Yang Mi. I’m often drawn to TV dramas first. Check out the well-known, established names in their latest dramas. See how the much-publicized dramas that numerous fans discuss look like. But many of these dramas have plots are too draggy, repetitive, or cheesy for me to finish watching. Though there are a few exceptions. This is awesome news! I’m looking forward to watching as this was yet another C Drama I was interested in watching but had no subs. Thank you so so much for all your hard work! I’m only up to episode 4 but I’m going to call it. This is the best cdrama of this year. I’m just so thoroughly entertained. An yuexi’s expressions are gold. so is the main male character’s deadpan expressions. And all the tongue in cheek humor, like when the chrysantheum festival is just them admiring one small chrysantheum. It kills me. I’m saving an episode one day at a time because it just makes me so happy to enjoy it after a hard days work. Thanks for introducing this drama and subbing it! Thanks to you guys I ended up marathoning this and finished it in like 4-5 days LOL. I actually like it a lot and there was actually a PLOT! That I actually care about and characters I care about haha. I’m thinking of rewatching Love O2O for Zheng Ye Cheng as well… aishhh lol. You guys should make another post stating this has been updated! I don’t think people would mind! I post on twitter when new episodes are added. 🙂 Plus, on the right side-bar, I list all my current uploading projects for quick finds. Hi, are you talking about a different episode? Episode 14 hasn’t been posted officially here yet. Lol. anyway thanks for subbing this drama! Whoops! We apologise. The wrong video was uploaded and posted onto dm. I just checked and indeed there is no subs when there should have been as Ep 14 had completely been subbed. >.< We'll fix that up asap.